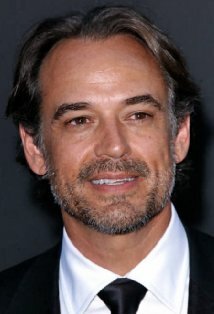 Jon Lindstrom is an Emmy nominated actor, writer and director based in New York City.In August 2011, he directed and performed a major role in the independent ensemble feature, How We Got Away with It (2013) Shot entirely on location in Rochester, NY, he also served as the film's co-writer and co-producer. The film is in post-production. Also in 2011 three of his short films, Discedo (2011) A Chance Encounter (2010) and The Middle of the Story (2010) were official selections in multiple respected film festivals, including the inaugural Hell's Kitchen Film Festival, and the Big Apple and Macon (MaGa) Film Festivals.Recent award winning films as an actor include co-starring with Wendie Malick in What Happens Next (2011/I) (Official Selection- 2011 Hollywood and Flickers: Rhode Island Film Festivals, Opening Night Selection/Festival Favorite- 2010 Philadelphia QFest plus festivals in Miami, San Diego, North Carolina and Bremen, Germany. _What Happens Next (2011)_ is scheduled for worldwide release in February 2012) and _The Sacrifice (2008)_ (Winner Best Ensemble Cast- 2009 Monaco International Film Festival) and _The Double Born (2008)_ (Winner Best Feature/Thriller- 2008 Bare Bones Film Festival).Mr. Lindstrom is well regarded for his work co-writing and co-executive producing the feature film, The Hard Easy (2006) with Vera Farmiga Bruce Dern and Peter Weller released in 2007.His extensive acting experience includes long running parts on the daytime dramas "Port Charles" (1997) and "General Hospital" (1963) for ABC and CBS's "As the World Turns" (1956) for which he received the 2010 Emmy Nomination as Lead Actor in a Drama Series. Other film and television credits of note include CBS's "Blue Bloods" (2010) and "CSI: Crime Scene Investigation" (2000) Introducing Dorothy Dandridge (1999) (TV) with Halle Berry for HBO, and the NBC telefilms Fall from Grace (1990) (TV) alongside Kevin Spacey and The Alamo: Thirteen Days to Glory (1987) (TV) with Alec Baldwin on NBC, Warner Bro's. Must Love Dogs (2005) opposite Diane Lane Right on Track (2003) (TV) for the Disney Channel, and the feature Listen to Me (1989) for Columbia Pictures.Music has always played a strong role in his creative and professional journey. A lifelong drummer, his band The High Lonesome recorded the album "Feel Free To Do So", which garnered much industry praise and "most added" status for two singles on the Billboard Hot 100. The band recently recorded new songs for their 2010 release, "Collector's Album-1995-2010".In addition to How We Got Away with It (2013) and his numerous short films, he has directed for both the ABC and CBS networks.